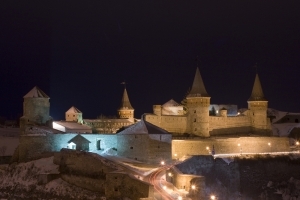 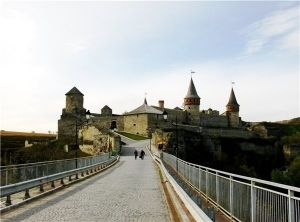 Kamianets-Podilskyi Fortress, which is an architectural and historical gem of Podolia, is situated on a high rock literally surrounded by a loop of the Smotrych River. 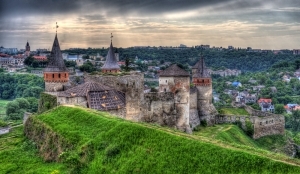 This medieval building has deservedly won the national contest «Seven Wonders of Ukraine». 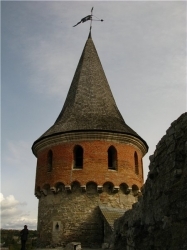 It is famous not only for its beautiful appearance but, above all, for its incredible impregnability proved in numerous battles. 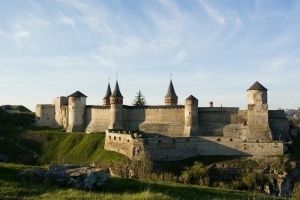 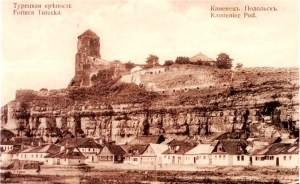 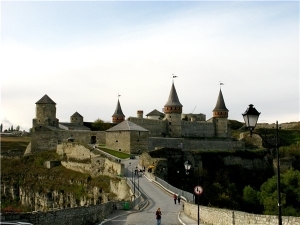 A natural defence system in the form of a deep canyon and steep rocks and the effects of human work – huge walls, fortified towers and bastions – became trustworthy allies of Kamianets-Podilskyi Fortress, which was conquered by enemies only twice over six centuries. 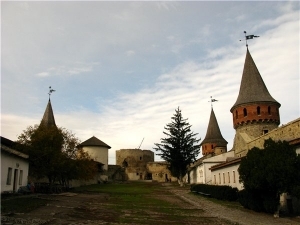 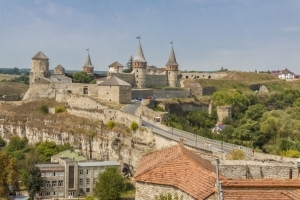 Today the Old Town of Kamianets-Podilskyi is an open-air museum, where more than a hundred various architectural and historical items are exhibited to the public. 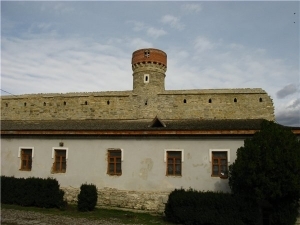 But it is the fortress that is considered the gem of this wonderful open-air architectural museum; it undoubtedly delights with its genuine atmosphere. 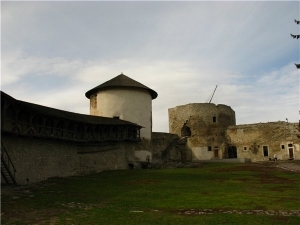 You may learn more about the history of the castle and the city if you visit the museum exhibitions or take a guided tour to the main towers. 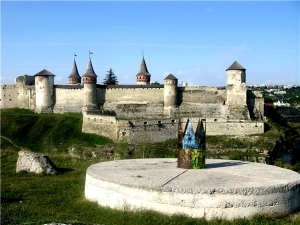 The castle provides various types of entertainment for those who like active leisure: an individual minting of commemorative coins, crossbow shooting or work in a pottery workshop. 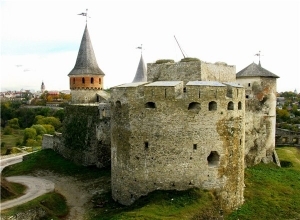 The walls of some of the castle's towers house installations dedicated to this or that period from the rich history of Kamianets. 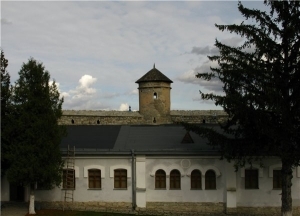 To the right of the courtyard entrance is the Eastern Tower, built by royal architect Hiob Bretfus in 1544. 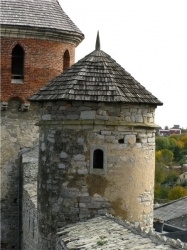 In the vault you can see an old well bored into the rock. 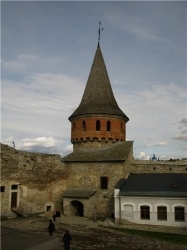 There is a huge wooden wheel next to the well. 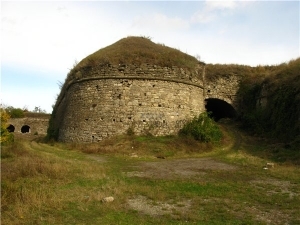 Soldiers used it to get water for their garrison out of a 35-metre depth. 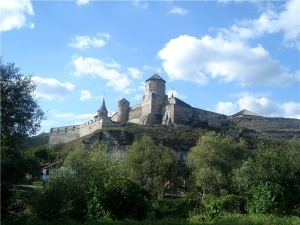 In the summertime various delightful events and medieval festivals as well as history contests and music shows take place within the castle. 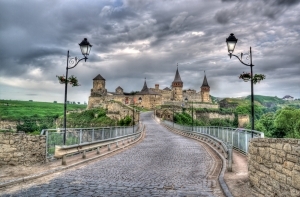 The international balloon festival, during which balloon crews fly over this old city, is hugely popular among tourists. 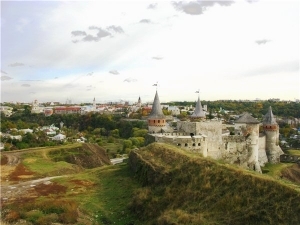 Daily from 10:00 am to 7:00 pm (in winter from 9:00 am to 6:00 pm).